Why Won't Your Teen Take a Shower? While some parents grow frustrated because their teen spends hours primping in the bathroom before leaving the house, other parents can’t convince their teen to take a shower—even when he smells bad. Dealing with a teen who refuses to shower can be embarrassing and confusing for parents. After all, you can’t force your teenager to get in the shower if he doesn’t want to. But, if he doesn’t shower regularly, he may face some serious social and physical consequences. So before you decide how to best intervene, it’s important to consider the reason behind your teen’s disinterest in bathing. Some teens simply don’t recognize the importance of taking a shower. Your teen might not know that after puberty, he’s going to get sweaty and smelly if he doesn’t shower. It can be hard for some teens to make the transition to treating their bodies more like adults, rather than kids. So while it wasn’t a problem to skip a bath at age 7, at age 13, he may exhibit body odor if he doesn’t wash regularly. Even teens who do shower sometimes don’t recognize the need to use soap or wash their hair. If you suspect your teen’s reluctance to shower stems from a lack of knowledge, it’s a sign you need to talk about puberty. Discuss how physical changes, like increased perspiration and the emergence of body hair, means a daily shower is important. Many teens would rather spend their spare time playing video games or chatting with their friends, rather than worrying about hygiene issues. Taking a shower can feel like it gets in the way of all the other things they actually want to do. Teens are also excellent procrastinators. So a teen may insist she’s going to shower after school. But then, after school, she might say she’ll shower after dinner. But as bedtime approaches, she may say she’ll shower in the morning. If your teen’s refusal to shower seems to stem from laziness, you may need to treat the issue just like any other responsibility. Set limits and provide consequences. Occasionally, a refusal to shower could be linked to certain types of mental health problems. For example, teens with serious depression may lack the interest and energy to shower. But taking a shower won’t be the only problem they’ll struggle with—depression could also lead to academic and social problems too. In some cases, traumatic experiences can be behind hygiene issues. A teen who has been sexually abused, for instance, may refuse to shower because he doesn’t want his abuser to approach him. But, keep in mind that excessive bathing may also be a sign of sexual abuse. Teens with developmental disabilities or cognitive delays may also struggle with hygiene issues. A teen may not understand the importance of showering or he may struggle to remember the steps involved in caring for his health. If you think your teen’s refusal to shower may stem from mental health issues, seek professional help. Talk to your teen’s doctor or contact a mental health professional. Talking to teens about hygiene issues can be a sensitive subject. And if you aren’t careful about the way you broach the subject, your teen may grow defensive. Don’t use subtle hints that your teen smells bad or has oily hair. Leaving deodorant in his room or making jokes about his body odor won’t be helpful. Poor hygiene could lead to a variety of health problems, as well as social problems. Teens who don’t shower may be at risk for certain types of skin infections. A smelly teen may have trouble making—and keeping—friends. He may be teased or bullied for not looking clean. And it could take a serious toll on his self-esteem. Teens who refuse to shower often experience other hygiene issues as well. Talk to your teen about the importance of wearing clean clothes. Changing her clothes after exercising and putting on fresh clothes after she sleeps is important. Encourage your teen to put on deodorant. Let her pick out the kind that she’d prefer to wear if that helps motivate her to use it more often. 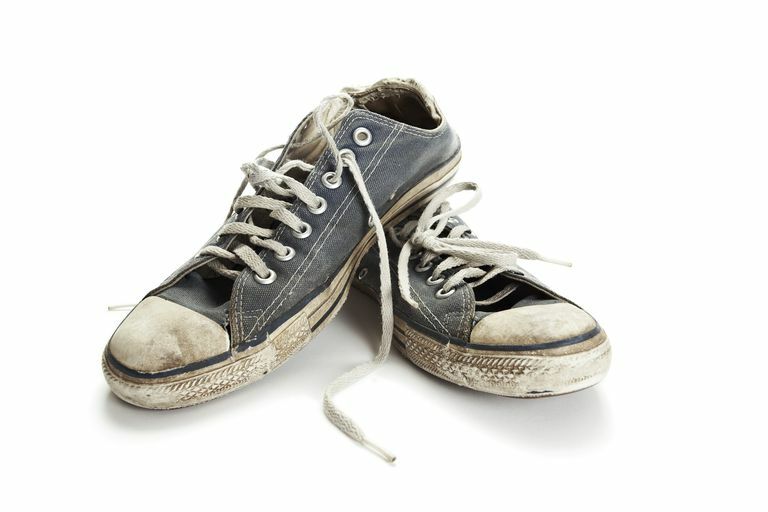 Smelly feet can also be a problem with teens, especially teen athletes. Encourage your teen to wash his feet in the shower and then, wait until his feet are dry before putting on his socks and shoes. Wearing cotton socks and alternating shoes can also help. Bad breath can be an issue too. But more importantly, teens who don’t take care of their oral health may place themselves at risk for tooth decay and gum problems. Tell your teen he needs to shower every day—just like he needs to do chores and complete his homework. If he takes care of his responsibilities, let him have his privileges, like being able to watch TV or play with his electronics. But if he’s refusing to take a shower, or he claims he’s too busy, don’t let him enjoy his privileges. Hopefully, a few days without privileges will help him get into the habit of showering regularly. If your efforts to encourage your teen to shower more often aren’t helpful, seek professional help. He may have some underlying issues that need to be addressed or he may simply need more education about hygiene from someone other than you. Resist the temptation to nag your teen. Repeatedly telling him he needs to shower could lead to more resistance. Nagging could also make your teen more dependent on you. The ultimate goal is for him to be able to take care of his hygiene when you’re not there to remind him. So make sure he knows it’s his responsibility to shower, but there will be consequences if he doesn’t. Give your teen some flexibility over when he showers. Some teens like to shower in the morning to help them wake up before school. But others may find they’re more likely to shower if they do it in the afternoons or evenings. The important thing is that your teen does it, regardless of what time he chooses to shower. If you’re guilty of wearing the same outfit for days on end, or you skip showering on the weekends, don’t expect your teen to take care of his hygiene. Be a good role model and you’ll show him the importance of good hygiene. Talk about washing your hands, sanitizing the kitchen, and cleaning the bathroom too. All those things will send a message about the importance of staying clean and healthy. Talk about the social aspects of self-care too. Show your teen that have respect for yourself and that you value taking care of your health.